Russia is today as always a nation packed with engineers – one distinctive upside of the long shadow cast by the Soviet Union. Russian electronic inventors’ creations increasingly flourish worldwide, so now is a great time to check in with some leaders of the growing Russian maker scene. Last year already saw Polivoks and the spectacular Blade Runner-esque Yamaha CS-80-inspired Deckard’s Dream walk away with honors. Now, the class of 2018. Lyra began its life as a performance instrument just for Vlad, before he opened it up to interested customers. Lyra-8 is an eight-voice (hence the name) instrument with FM modulation and various new synthesis algorithms and extras applied to the original design, plus a doubled delay that gives it its unique alien sound. 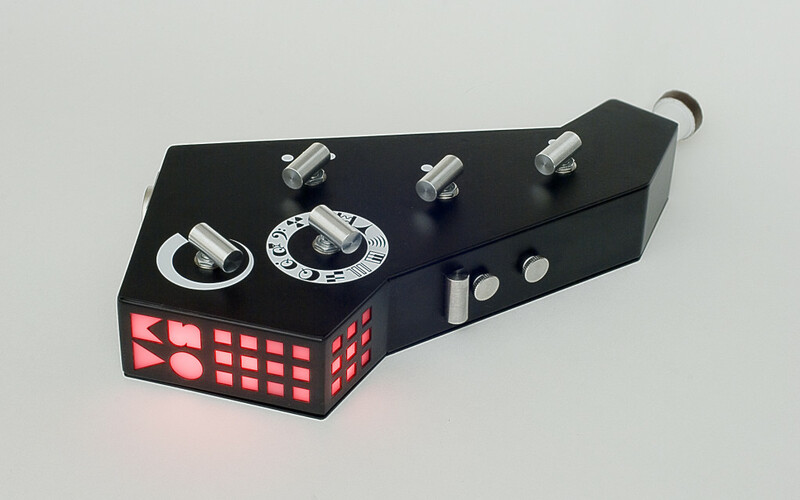 There’s no MIDI – this is truly an analog-centric design – but you can input external audio. Four oscillators with controls for visually producing wave shapes. A tape player simulation. All in one module. 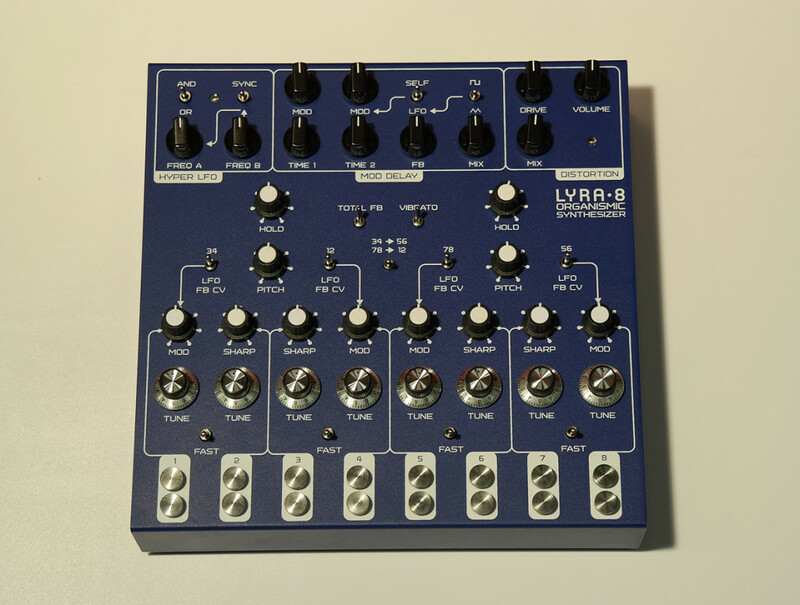 Yeah, the visual look of the Buchla-inspired Graphic Waveform Generator Model 268e from Keen draws from classic Buchla tradition, but this Moscow-made module is a unique sound studio all its own. Little surprise then that the Graphic Waveform Generator Model 268e got a nod in modules (though there are some other builders to talk about, too – stay tuned). I’ve already shouted out Zvukofor Sound Labs from St. Petersburg as one of my favorite makers of grimy sound processing. Now this artist/engineer got attention at Synthposium for his C1 and Tahnx. He wasn’t just showing some new kit, either – he also shared thoughts on the meaning and history of distortion. We’ve followed Playtronica for some time now. Their TouchMe approach to musical interaction we’ve seen before, but they continue refining design and manufacture of their full series of products and the workshops around it. And people never get tired of getting to make music by touching pineapples, as their booth proved again. It’s really tough to describe just how much Playtronica have done in the scene in Russia – an agency, an interactive design collective, a set of artists doing interesting work on their own, and a force for education that’s spreading electronics interest again to kids. If you want a look at how engaging younger generations might reboot in this century in the post-communist period, this is one clue. Hey, even as a keyboardist myself, I’ll be the first to concede: it’s guitarists’ turn on modular now. If the likes of Andreas Schneider and Dieter Doepfer brought modular back and evangelized synthesis in Berlin, then look no further than Fedor Vetkalov when it comes to the east. Fedor not only is a cornerstone of the synth and modular scene in Russia from his Moscow shop, but has also worked the other way – introducing the best Russian builders to the world, whether it’s via artists touring through the Russian capital or online or at international events. There are few people who can be a better guide to the scene in Russia, and well, it’s also kind of hard to imagine the synth community without Fedor in it even outside of Russia, too. Martin Gore from Depeche Mode at Synthman. It’s been a pleasure to be back here in Moscow and St. Petersburg as always – more to come. And for all the other complaints we might have about current politics, I think we’re pretty fortunate today – crossing these borders, both for our humans and machines, is easier than ever. That makes our extended synth and music family feel close even as we come together across nations and languages. For that I’m especially grateful for the cooperation of the Synthposium organization and the Goethe-Institut and other partners that allow this exchange to happen (and to live up to that “cultural exchange” business describes on my latest visa sticker).